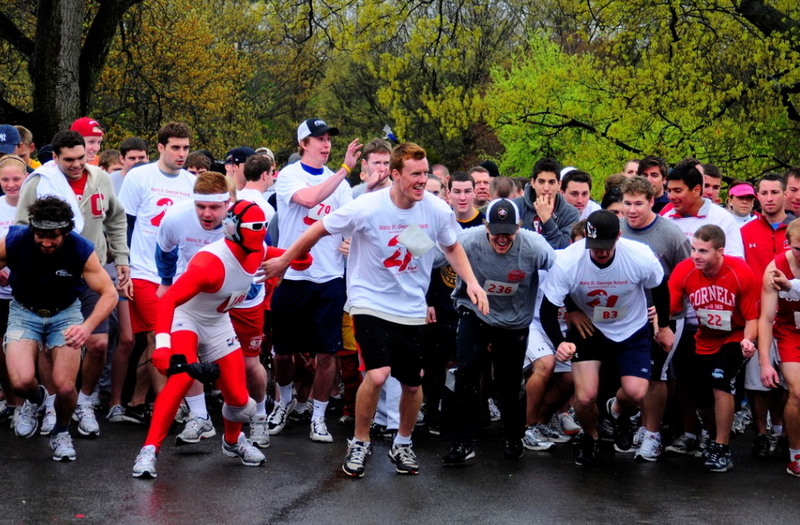 The 21 Run is a family-friendly 5k run/walk held each year at the Cornell’s FR Newman Arboretum in Ithaca, New York (map). The event is organized in conjunction with the Cornell University Men’s Lacrosse program and the Family Reading Partnership of Ithaca, and also features a Read-Aloud and Bookmaking Tent. The event is typically held on a fall Sunday, and the $21 registration fee includes an event t-shirt, snacks, and waters (children under 14 race and read for free). The Boiardi Foundation shares the proceeds of the event with the Family Reading Partnership. The 14th annual 21 Run will be held on 10/21/2018. Race day registration will open at 9:45am and the race will begin at 10:21am.